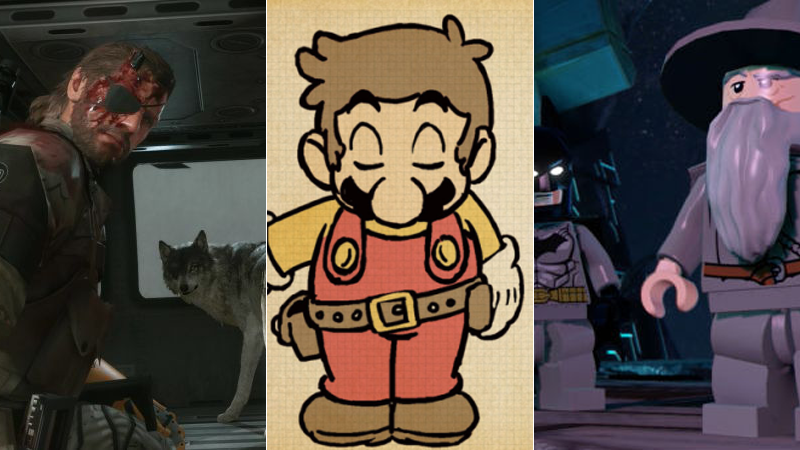 Kotaku tries a lot of games, both good and bad. This list contains all the good ones we played last month. Patricia tried to break the new Animal Crossing by designing the ugliest houses possible. She didn’t succeed, but she had a great time. You can buy the game for 3DS. Nathan really liked this rather unforgiving cross between Fallout and XCOM. You can buy the game for PC. A five-minute MOBA was a really good fit for Mike. You can buy the game for iOS. SimCity vs. Tetris vs. Scrabble. It’s an odd combination, but it convinced Luke. Jason was in love with the changes the expansion made to the game—later, Kirk echoed his opinion in our official review. You can buy the game for PS3, PS4, Xbox 360, and Xbox One. Kirk considered Trespasser a welcome ending to the story Bioware started with Inquisition. You can buy the game for PC, PS4, and Xbox One. Mike particularly enjoyed the multiplayer in this pixelly top-down shooter. Mike considered this the pinnacle of 3DS virtual idol rhythm gaming. A hand-painted platformer about a dying man that left Evan intrigued. Evan was really sucked in by this short psychedelic rhythm game. You can buy the game for PC and PS4. Exploring an artist’s madness really appealed to Patricia in this first-person horror game. You can buy the game (note that it’s in Early Access) for PC. Droves of content and crossovers everywhere. The latest toys-to-life game is as expensive as they come, but that didn’t stop Mike from liking it. You can buy the game for PS3, PS4, Wii U, Xbox 360, and Xbox One. In this co-op space shooter, Evan was grabbed by how good the teamwork felt. You can buy the game for PC and Xbox One. This is a divisive game. In his review, Chris lambasted the game for how much it felt like a Ubisoft-style, busywork-filled open-world affair, with bad controls to boot. On the other hand, Luke had fun with it, appreciating the little Australian touches the developers put in, and Nathan also had several positive things to say about it. Also, its PC version runs like a dream. Jason loved the game, a technical marvel with great stealth mechanics, in his review, albeit he had issues with its story and ending. He elaborated on these issues in a later post. You can buy the game for PC, PS3, PS4, Xbox 360, and Xbox One. Mike loved (and put a lot of cash into) the first entry in this monster music game series, so of course, the sequel grabbed him too. You can buy the game for Android and iOS. An interesting mix between turn-based and real-time strategy. Stephen had a great time with it. You can buy the game for PC, PS3, PS4, PS Vita, Wii U, and Xbox One. As he does every year, Luke compared the two big soccer games coming out in 2016: FIFA 16 and PES 2016. PES 2016 won—although he did note some big problems with its PC version. A turn-based tactics game where you can talk your way your victory, Nathan was impressed with Renowned Explorers’ potential for creating stories. This platformer had a color-changing gimmick which really intrigued Patrick. You can buy the game for Wii U. The new horror game from the creators of Amnesia. It had a profound effect on Patrick. It’s a free card game that Stephen thought you should definitely try. You can get the game for iOS. Although he pointed out some problems with the toys themselves, Mike really liked the video game part of Skylanders Superchargers. You can buy the game for PS3, PS4, Wii U, Xbox 360, and Xbox One, though you might wanna check out our Buyer’s Guide before doing so. A point-and-click and, in Patrick’s opinion, one of the best horror games to come out in years. A game used to make Mario games. In her review, Patricia said it was great both for sharing your creations with others, and experiencing others’ creations. Kirk thought it was a good HD remake of an already excellent Vita platformer. You can buy the game for PS4. Nathan experienced one of his most brutal video game deaths ever during his time with this Oregon Trail-esque survival roguelite. He was looking forward to playing more of it. An Earthbound-like no-violence RPG. It made Nathan grin until his face hurt. Kudos to Gergő Vas for his contributions to this post, including the top image.